Powell Hall, 1968: I was only a year old when the St. Louis Symphony bucked the 1960s trend of building a sterile new downtown symphony hall, opting instead to move into a then 43-year old movie theater building that had seen better days. This year the building turns 90. St. Louis Union Station, 1985: The 1890s main building closed to passengers before train service stopped under the large shed in 1978 — shifting service to what became known as “Amshack.” In 1985 Union Station reopened as a “festival marketplace” with hotel, shops, restaurants, etc under the shed. This rather ordinary building on Dr. Martin Luther King, just East of Goodfellow, has pleasing proportions, materials, details. It’s in poor condition but I’d hate to see it razed. 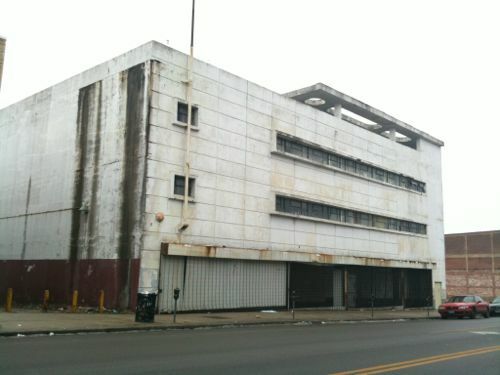 The former JC Penny store built in 1949 on MLK in the Wellston Loop in the modern style with an urban form, rather than style of its red brick neighbors that are 20-40 years older. 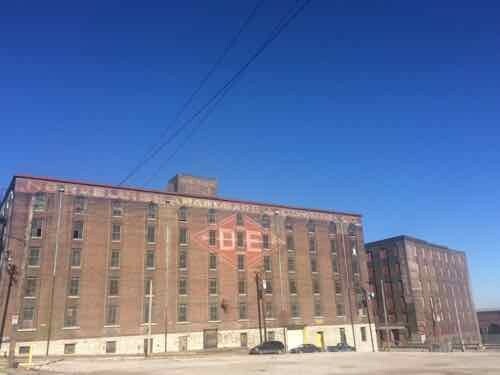 The Lemp Brewery complex was built over a period of years and thus includes numerous buildings. 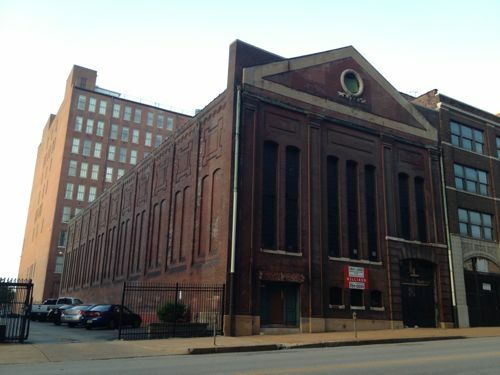 1711 Locust was a power station for the original streetcar system, it is vacant and in disrepair. 1701 Locust is a handsome 4-story building built in 1926. It has had several owners in the last decade. It is vacant. 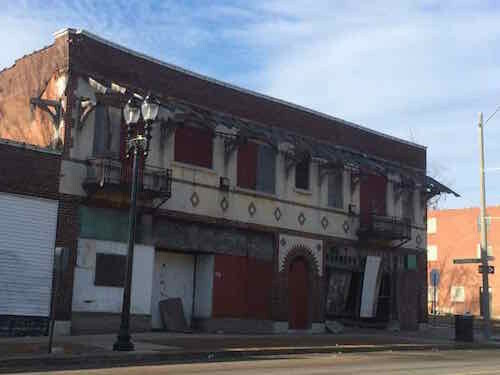 The Jefferson Arms remains vacant although numerous developers have attempted to put together a deal to rehab the property. 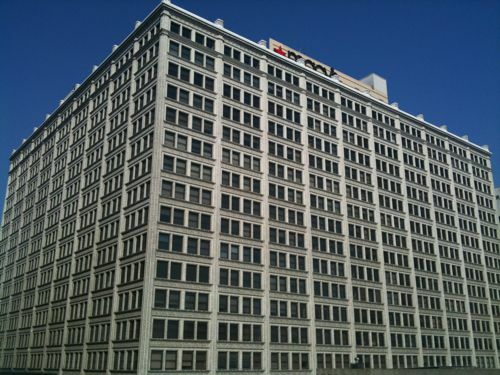 The Railway Exchange building housed a downtown department store until recently. Their have been various concepts for preoccupancy, but nothing has begun. 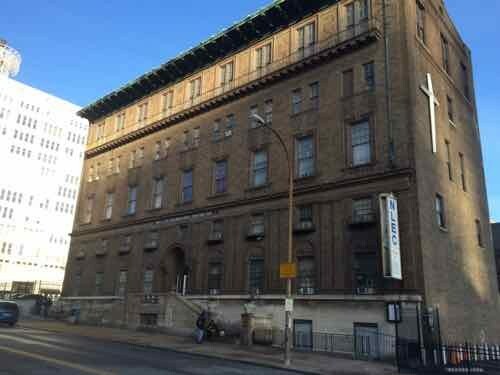 Originally built as a YWCA, this building on Locust has been the home to the New Life Evangelistic Center since 1976. 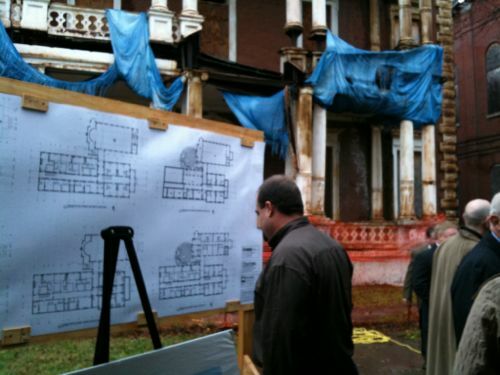 Some say it should be razed, but that’s a short-sided view. There you go, my list of buildings I hope to see rehabbed and reoccupied. I don’t have any capital or the physical ability to do it myself — but those are requirements to simply express my desired outcome. I’ll start working on a Part 2 with more buildings. Any you’d like to see rehabbed? How about that crappy 2-family down the block? The one with the grass overgrown, boarded windows, junk inside, and graffiti painted all over the garage? I’ll vote for the first four photos, including JC Penney building. Most of the other buildings are huge, and much like chasing “the next big score” in economic development, yes they should be reused, if possible, but to “save” a city, any city, requires many small victories, not just a few large ones. 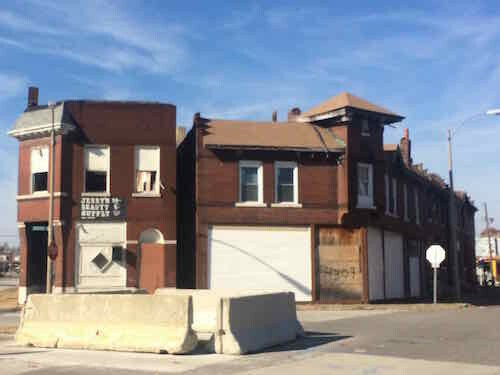 Saving any neighborhood involves maintaining the existing building stock, reusing vacant structures and infilling vacant lots. It involves many people making many small contributions, making a unified committment, not just expecting some savior with deep pockets (like Paul McKee) to do all the heavy lifting. And I’m pretty sure that the term is short-sighted, not short-sided . . . . Depending upon the developer, our huge buildings might be too small to bother with. The one big rehab happening now is the large Arcade/Wright. 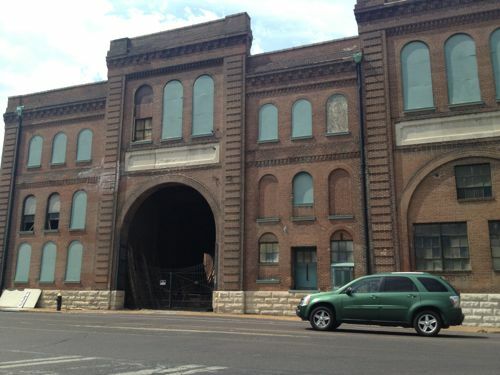 I believe Arcade/Wright, Jefferson Arms and Butler Bros. Buildings are in the general ballpark of each other with square footage… quite large but a shadow of the Railway Exchange. 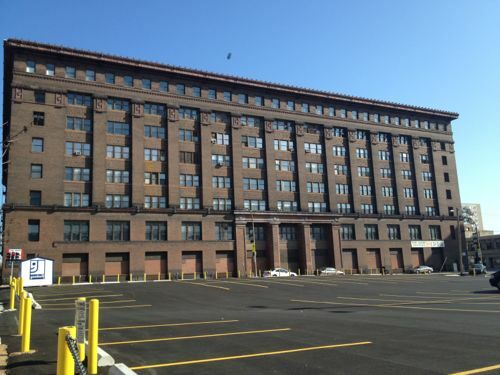 I suspect all three are going to require multiple tax credits like the Arcade/Wright did…. New Markets, HTCs, LIHTCs, Brownfields, etc. It would be a huge win if we could bring these back online with say one project getting underway every other year or so. 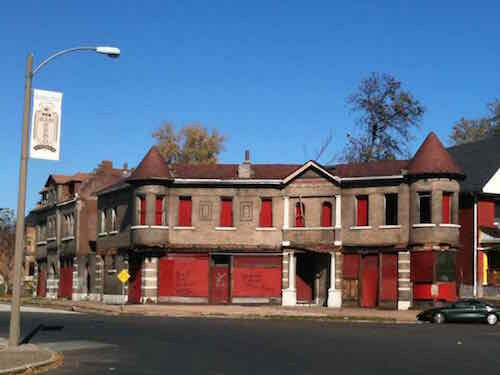 I hate tearing buildings down, but I’d allow the YWCA on Locust to be torn down if it would get rid of Larry Rice. Good list…. 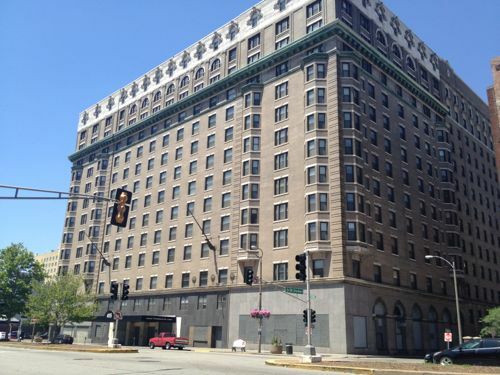 I love that Fountain Square Building and getting the Jefferson Arms and Butler Bros. Buildings back in productive use would be a big boost for Downtown West, which seems to be a bit stagnant lately. As for other buildings, I hear Carr School may have some hope for re-use…. that would be great. Now that it has been announced that the old YMCA on Grand will be leveled and replaced, #1 on my rehab/replace wish-list is Kingshighway @ Oakland. The roof is gone on at least 2 of these and one of them caught fire a year ago. Likely one of the busiest traffic spots in the whole city. I’d love not to see this eyesore every day. Living in these (if rehabbed) would likely be a noise nightmare so I’d be fine with seeing something commercial. 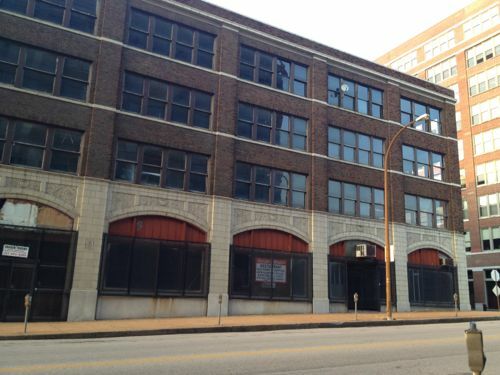 Steve, the LRA properties up near Hyde Park are cool looking, but who’s going to do the rehab you’d like to see? Same could be said for the Fountain Park castle. Great historic building stock but in locations with no market. Couple the weak market with high development cost and you get what you see – abandoned buildings. This post is sort of like that old saying, “wish in one hand….”. If you want to have a serious discussion about vacancy and abandonment it needs to have more serious thought than listing the buildings you’d “like to see” rehabbed.